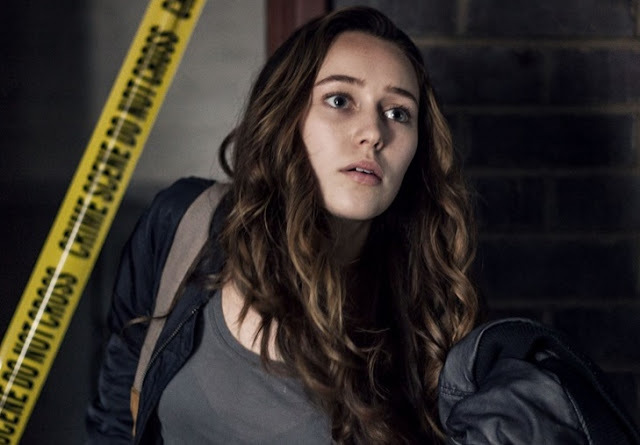 Laura (Alycia Debnam-Carey) unwittingly befriends a mysterious girl from her college class on Facebook only to 'unfriend' her when the relationship turns to stalking. 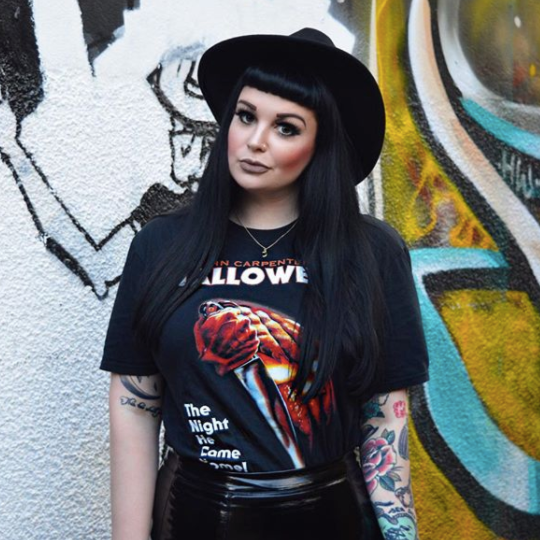 Following the horrific suicide of the girl she has scorned, Laura finds herself fighting a demonic presence that begins hunting down her friends in a number of sadistic, supernatural ways. Laura has it all. She's popular, she's pretty, she's performing well at school and even has a loving boyfriend (William Moseley). It comes as no surprise then when new girl and social outcast, Marina (Liesl Ahlers), wants to be her friend and adds her on Facebook. Oddly enough, Marina has zero friends on the network but, feeling sorry for her and against her better judgement, Laura accepts her request. However, when Marina's friendship becomes a little too intense, Laura decides to 'unfriend' her completely - resulting in Marina's horrifying suicide being broadcast on social media. What follows is a series of hellish and supernatural disasters which sees her closest friends targetted one-by-one in a bid to leave Laura 'lonely' forever. Friend Request gets off to a conventional yet fairly promising start and even features some scenes of German expressionistic animation which are unique in such a genre and also expose the director's german heritage. The plot soon reveals itself to be rather formulaic with several clichéd scenes plagued with sloppy dialogue. 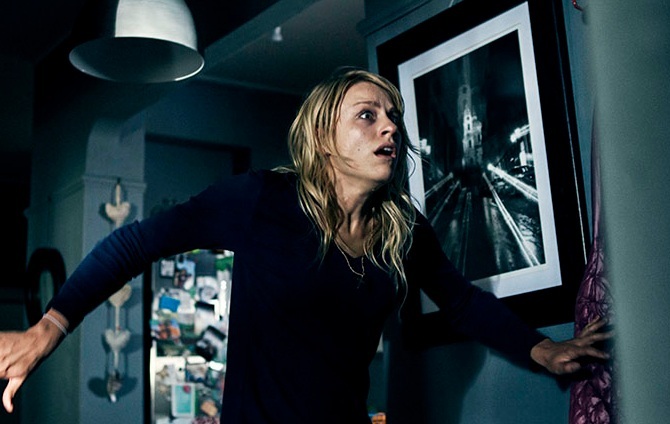 The action itself actually kicks off rather quickly with your usual scenes of a person alone, hearing a strange noise, lights going out yet they still go to check. The actual. In fact, it happens so often that it leaves us pondering whether this is paying homage to such classics as Halloween and the Amityville Horror or whether it's just shoddy screenwriting. 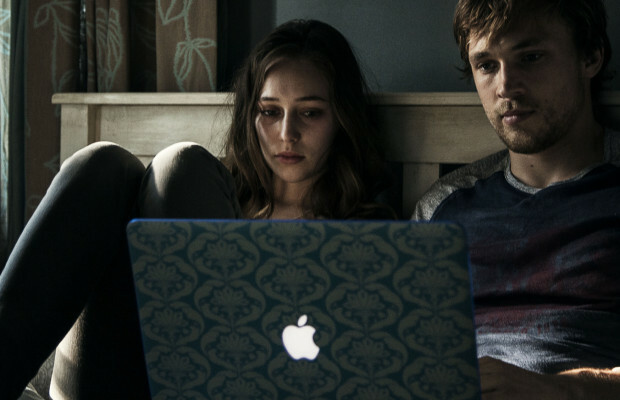 As with all horror productions, Friend Request is a reflection on social and political context. In this case, the movies is a commentary for our Internet culture, even going so far to unsubtly drop 'internet addiction and social media saturation' in to Laura's psychology curriculum. Similar to the film Unfriended (Levan Gabriadze, 2015), Friend Request unfortunately falls in the realms of an enviable Facebook thriller but there is an underlying message. Aimed at a generation of Youtubers, Snapchat and Twitter addicts who hardly look up from their phones - it is a statement highlighting the dangers of technology. It's message, however, does get a little lost amongst the clichéd and amusingly poor visual effects and comic contact lenses. It's there all the same, however. The film contains many shock moments and some scenes which are genuinely scary but Friend Request is also amusing at times due to it's predictability and also some scenes of deliberate comic relief. In many ways, it tries too hard to be so much more than it is and there's just too much being crammed in. Having realised that Marina has ties with black magic, Laura goes in search of answers yet no police officers thought to do the same - instead blaming Laura for a string of bizarre events. The film attempts to create an in-depth backstory for Marina; revisiting her childhood school where it is suggested she was raped by two students, made fun of by the other children and going back to her mother's tragic death following her birth. All of which seems a little unnecessary and does not appear to add anything to the story as it claws it's way to an anti-climatic, utterly predictable finish. So what do you think? Will you be watching Friend Request? You can watch the trailer for the movie here and it's released in cinemas Wednesday 20th April. Thanks so much to Warner Bros. for allowing me to see this ahead of cinema release, don't forget to leave me lots of lovely comments below. I'm actually going to see this tonight thanks to the Slackers Club, but having read the review I'm very glad it's not something I'm paying for! haha oh god I'm sorry! You might find that you actually really enjoy it - just my own personal opinion although I was glad I didn't pay to see it either. It does have some genuinely very scary moments if horror is your thing :) I'd love to hear what you think of it? I will wait for the DVD haha! When it's really cheap lol. I like the idea behind it but I'm not as excited as others! Hmmm, I thought the director might be related to Paul Verhoeven but I see that he's not. When you say it's similar to Unfriended, does that mean there is a fair amount of time where the movie screen looks like a computer screen? From the pics you've provided, probably not but your discussion of the movie's visual effects makes me wonder.